After discussing the history behind the Pareto Principle and how it can affect your day-to-day life, we’re now going to put it all into practice. As wonderful as working from home can be, without appropriate planning in maximizing your time, you’re going to find it difficult to juggle family, home and business, not to mention all the nuisances that crop up - wasting us lots of time and positive energy. Abiding by the Pareto Principle (often referred to as the "law of the vital few") can prove beneficial for your work, business and life in general. “The 80/20 principle, also known as Pareto’s Law, dictates that 80% of your desired outcomes are the result of 20% of your activities or inputs”. 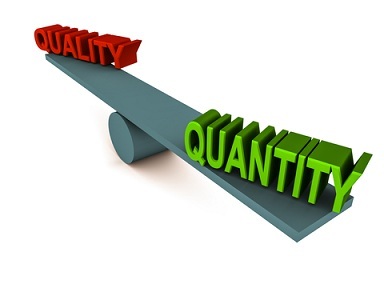 Our focus shall be on quality rather than quantity. Working smart instead of hard - making adjustments to be more effective in whatever it is that you’re doing. Did you know that 20% of the time you spend at work accounts for 80% of what you achieve? We get stuck on doing urgent work instead of focusing on the few meaningful things that produce positive results. Therefore, we’ve got to identify what are the few activities (20%) that are worthwhile and eradicate or delegate to others, the remaining 80% that bring in little or no reward. "The 80/20 Principle can and should be used by every intelligent person in their daily life, by every organization, and by every social grouping and form of society." Here are a few pointers to get you thinking. These will give you a better understanding of the reasoning behind Pareto Principle. More importantly, start working the whole concept to your advantage. What is occurring in 20% of your life or business that is causing 80% of your problems, misery and anger? Are you effectively trying to solve the problems you’re facing or do you always go into avoidance? What is holding you back from doing what you really NEED to be doing and KNOW you should do? What 20% of futile activities e.g. TV, telephone, social media, games, are wasting 80% of your time? Look out for time-wasting activities that you have been meaning to drop. What is occurring in 20% of your life that is resulting in 80% of your happiness and success, hence increasing your desired outcomes? Of your belongings, such as clothes, magazines, books, kitchen utensils, what are the 20% that you use 80% of the time? Figure it out and get rid of all the rest! Clutter in your personal life can rollover to 'clutter' in your professional life, followed by diminished results! I got this realization some time ago when I became aware that whenever I need to go out, I always reach out for the clothes hanger instead for the closet. That simply means I can very well do without nearly all the clothes stacked in the wardrobe. This is also true for stress – What is creating stress in your life? These can include unnecessary expenses, incomplete tasks, time management issues, unresolved arguments and simple distractions. Sort out the good from the bad and the ugly. Another issue includes self-esteem and the impact negative people around you can have. Ensure that you are surrounded by people who inspire you, motivate you and make you happy. Conversely, avoid naysayers, persons who discourage you or try to keep you in your comfort zone. They just distract you and put you off track. Remember, it’s all about determining what works and what doesn't, so you ONLY concentrate on the ‘what works’ aspects of life as well as business. Implement these thoughts in your everyday life. Plan out and prioritize your day’s activities beforehand, preferably the night prior. That way, you’ll be able to give your 100% attention to what needs to be done first. If you’re a business owner, particularly a solopreneur working from home, applying the 80/20 equation in your endeavors can be key. One fundamental aspect of any business is its consumer base. This may sound weird, but having more customers does not necessarily mean more income. Having a few good low maintenance clients is your objective. Do you overly connect with those that render you a measly profit (if any), and yet soak up a lot of your time? Are they worth all your time, money and energy when compared to what they contribute? Keep in mind that, you can always earn more money but once you spend time, it’s gone for good. Considering that 20% of customers produce 80% of a company's revenue, here is an exercise to help you narrow down your focus and work with “the vital few”. This enables you become aware who the few 20% valuable customers are, and to whom, full attention should be given. This, whilst letting go off the remaining 80% you’re currently dealing with. It will take you some time and you may have some difficult decisions to make. Plus it will also be necessary to set up new norms, but you won’t regret it in the long run. As you may have noticed by now - maximum income from minimal effort is the aim! The more focus you put on the 20% of what matters, the more you increase your chances for success. The "vital few" need to be made highly visible. If you’re an online business owner, check your statistics, affiliate accounts etc. and determine the 20% of the products raking you 80% of your profits. Display these items more prominently on your website or blog, to enhance your conversion rate. Consider your website traffic and optimize “hot” web pages for best results. If you own a website you know that only a few pages get viewed the majority of the time. These pages deserve your best content and SEO efforts. This will even help you to identify what your followers are looking for and give you ideas on what else to offer. You've probably heard the phrase "if it's not broken, don't fix it" right? Well, there’s a flip side to this. 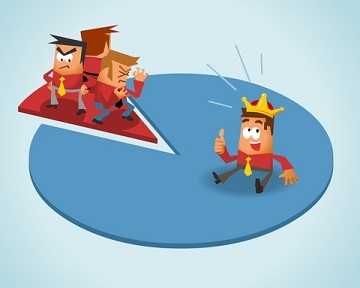 Do 80% of product complaints stem from 20% of your products? Problem products will always be a problem. They must either be fixed or abandoned, so resources can be redirected towards more profitable goods. concentrate on those areas that generate good results and work on these to improve them. What Are Your Thoughts On The Pareto Principle? Have your say on the 80/20 Rule. Do you go by this theory? In what way? And do you find it effective? Share your story, tip or strategy below.